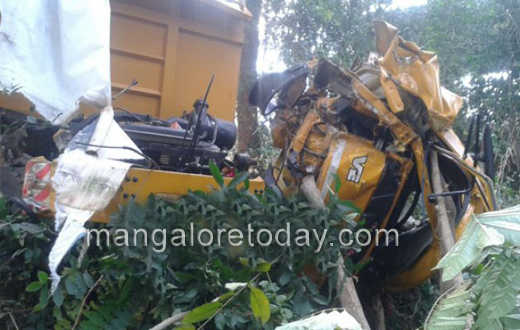 Puttur, Dec 10, 2016 : Rider was seriously injured as tipper collides with bike at Adyanadka on State Highway Kalladka- Kanaghad on December 10, Saturday. Akshay Kumar (21) resident of Saravu near Mudambailu is the injured. Seriously injured Akshay is being treated at a private hospital in Puttur.